This book provides a comprehensive description of the Long Term Evolution (LTE) radio access network, as specified by 3GPP. The content is aimed towards anyone wishing to learn the basics, or to develop a more thorough understanding. The content is presented in the form of bullet points to keep it concise and to allow rapid access to the key information. 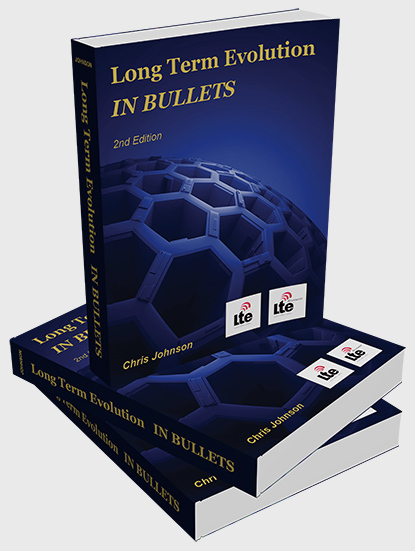 The 2nd edition (592 pages) includes a significant increase in content relative to the 1st edition (280 pages). The 2nd edition adds content from the release 8, 9 and 10 versions of the specifications, including LTE Advanced. It also adds sections on Time Division Duplexing (TDD), Voice over LTE and Multimedia Broadcast Multicast Services (MBMS). In addition, existing sections have been expanded to allow more comprehensive explanations. These internet pages provide information regarding the content of the book. They allow both the contents pages and examples of the content to be downloaded. Contact details are provided to allow the submission of comments or queries. An email address is also included to allow registration for notification of new editions and additional content. Download samples of the content from here.